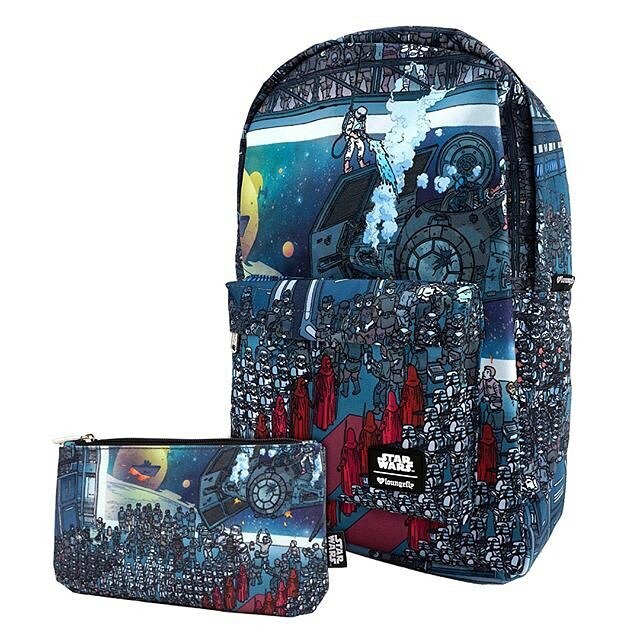 Check out this new Loungefly x Star Wars backpack, which will be available exclusively at Emerald City Comic Con 2018. 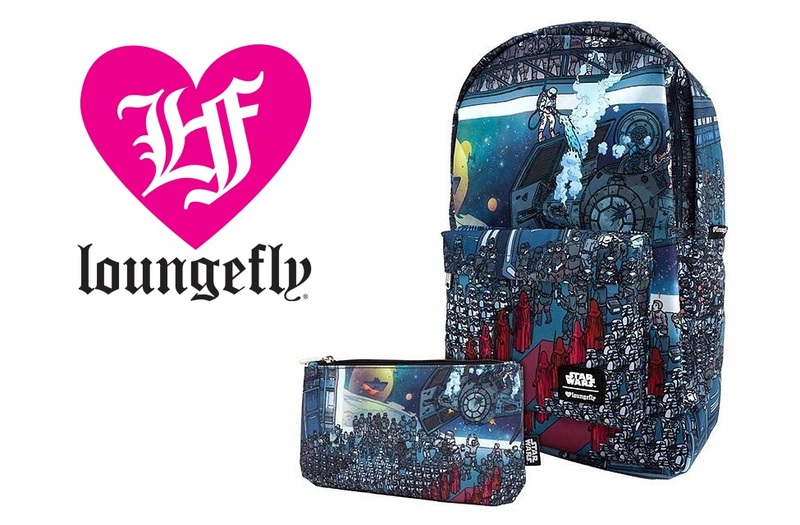 Limited to only 400, the set includes a printed Star Wars backpack and matching pencil case. The bags feature artwork of Darth Vader with his TIE Fighter after escaping the Death Star battle in A New Hope, arriving at an Imperial hanger with Stormtroopers, Imperial Officers, and Royal Guards waiting. Emerald City Comic Con will be held March 1st to 4th, at the WA State Convention Center in Seattle, US. In the past, some Loungefly convention exclusives that didn’t sell out at the convention were later available to buy online at Loungefly.com – guess we’ll have to wait and see! Stormtroopers & Tie Fighters adorn this out-of-this-world set from Loungefly, limited to 400 pieces and available only at ECCC!